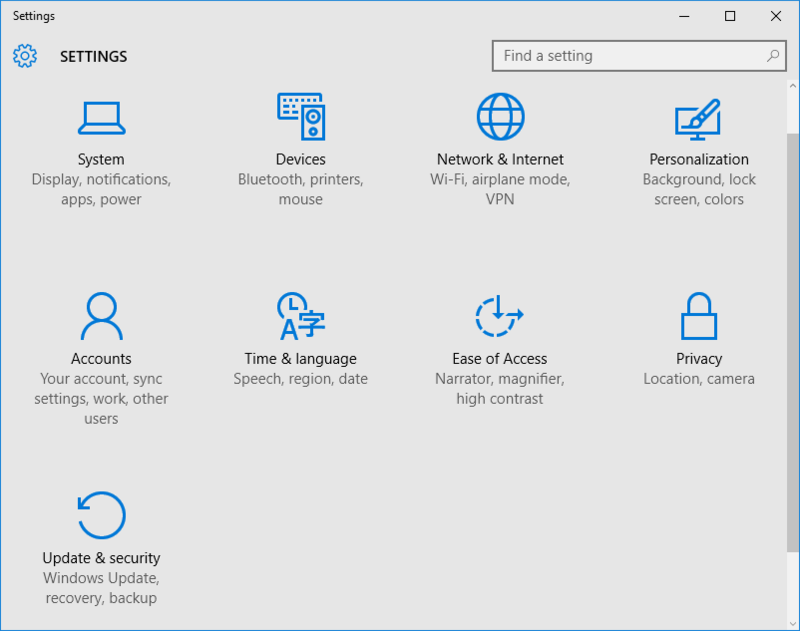 In Windows 10, many Windows settings, customization and personalization options can be found in the Settings, which is an universal app. In fact, Microsoft has been moving more and more settings and configuration options from Control Panel to the Settings app. Settings is organized into the several categories, including System, Devices, Network & Internet, Personalization, Accounts, Time & language, Ease of Access, Privacy, and Update & security. Each category contains more settings and options that you can configure. This tutorial shows you various different ways on how to open the Settings app in Windows 10. Click or tap on the Start button on the Taskbar or press the Windows key to open the Start menu or Start screen, then click or tap on the Settings. 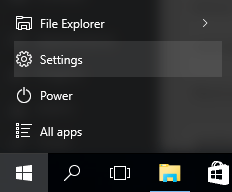 In Windows 10 Anniversary Update Version 1607 or later, the Settings has been moved to the left rail of the Start menu. Note: This method works only if you don’t hide and remove Settings folder from the Start menu or Start screen. 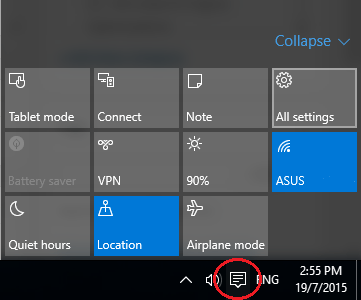 Click or tap on the Action Center system icon (also known as Notifications Center or Notifications bar) in the notification area (system tray) of Taskbar. Then, click or tap on the All settings. Press the Windows + I keyboard shortcut to open Settings directly. 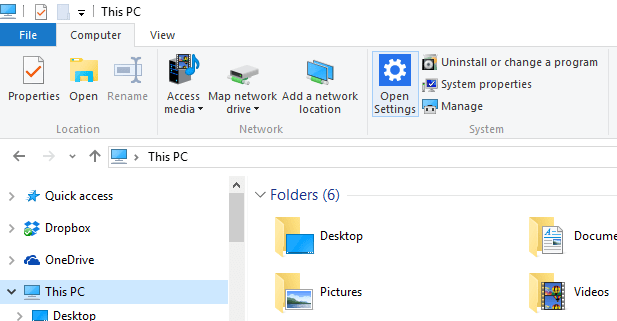 Open File Explorer and go to This PC in the navigation pane. Click or tap on the Computer tab in the Ribbon menu, the click or tap on Open Settings. Tip: You can choose to open File Explorer in Quick Access or This PC by default. Press the Windows + R keys or open Quick Access menu and select Run to open Run command dialog. 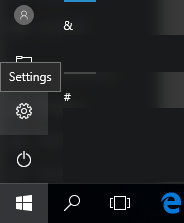 Type in the ms-settings URI which opens the Settings app or its page and hit Enter or OK. For example, to open Settings app, enter ms-settings:. Refer to the table below for the ms-settings URI scheme that you can use to launch the built-in Settings app or specific Settings page. Tip: You can create a new shortcut for Settings app or a specific Settings page by using the ms-settings URI listed in the table above. The same ms-settings URI listed in the table in method 5 above can be triggered via Command Prompt with elevated privileges, by appeding the start command. For example, start ms-settings: will open the Settings. You can create shortcuts to Settings app or inner pages of Settings app. The shortcuts can then be placed at Desktop and other convenient place to open directly to Settings page.